You can see the basic operation principle in the drawing above. The shroud is a diffuser duct with an outer brim. This structure alternates the flow of the air around the blades. The inlet duct increase slightly in diameter along the air speed vector. The pressure drop at the front of this annular diffuser increases the speed (following Bernulli’s law of energy conservation). The power output is proportional to the cube of the speed so the benefit for a given turbine blade diameter is obvious. This effect is greatly enhanced by the outer brim. Operating like an annular gurney flap, the brim creates a vortex ring. The resulting flow pattern is shaped like a much larger annular diffuser without the additional weight. The data is very impressive, for a given prop diameter the power output with the addition of the Windlens structure is up to 250% greater while power coefficient may increase up to 5 times. The basic theory behind this is quite simple. The Windlens simply enable the propeller to harness a lot more energy from the air, converting a greater amount of kinetic energy to torque. However these numbers must be put into perspective. The comparison is between same propeller diameters but the restriction is more usually the cost, not diameter. 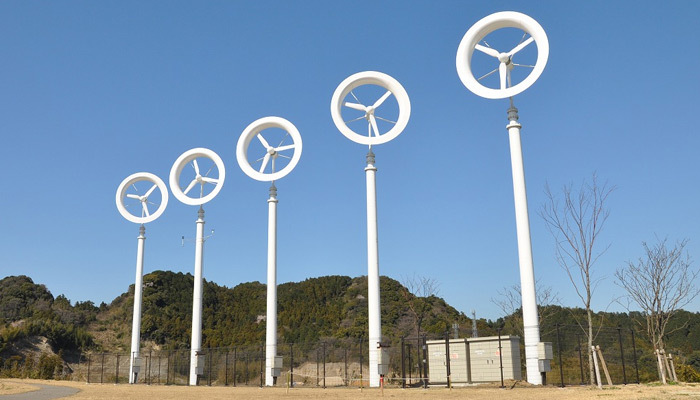 For a given cost, a Windlens turbine will cost the same as a much bigger conventional one. Also the Windlens forces the propeller to operate at higher velocity and that impose tougher requirements on the blades. Nevertheless the increase in performance is substantial and even a simpler bigger turbine of the same cost must lack in performance. 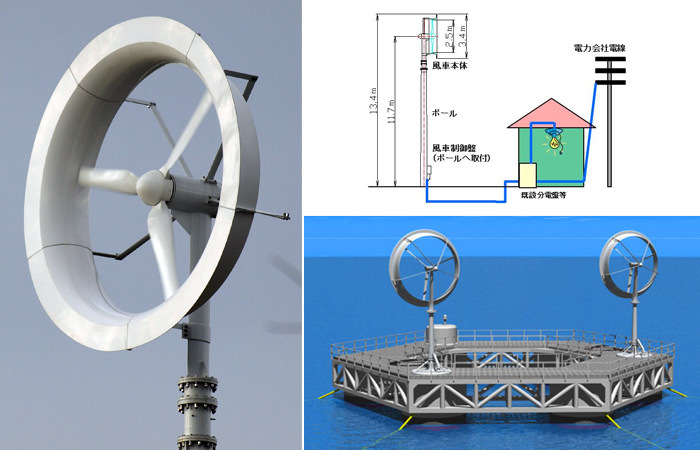 Today there are a few installed Windlens turbines and there are plans for many more in applications that vary from household small turbines to huge offshore wind farms.